Warm, stretchy and breathable like you'd expect from the Regulator® fleece, but with the added benefits of abrasion and weather resistance for extended versatility in shifting mountain conditions. Like an R1® with extra grit, Patagonia's TechFace Hoody maintains fleece-like comfort while extending itself into scrappy days on rock, snow and ice. The stretchy, lightweight double-weave fabric (partially recycled polyester, with spandex) offers significantly more wind resistance and durability than Patagonia's traditional R1®, and its articulated pattern further encourages a full range of mountain mobility. An alpine-helmet-compatible, adjustable hood with laminated visor provides coverage and visibility through shoulder-season squalls. 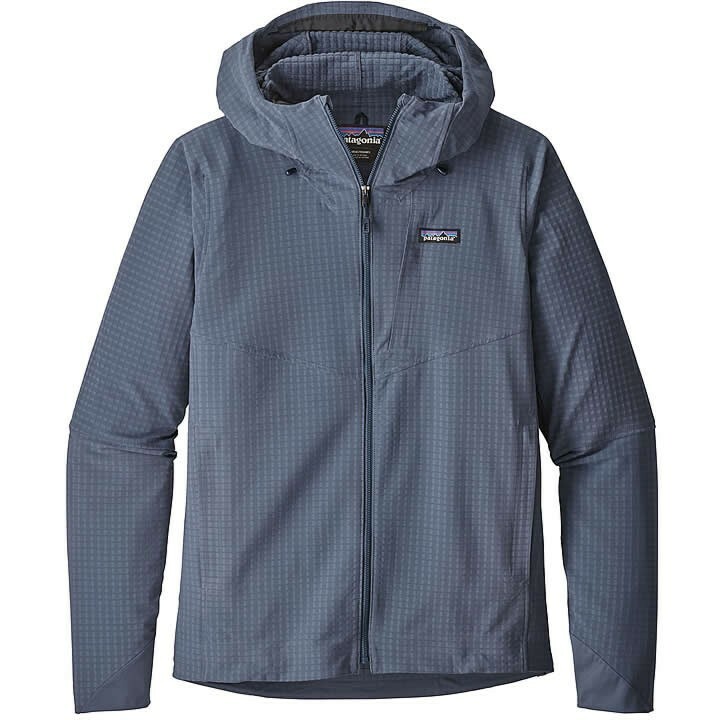 Detailing includes a pair of high, zippered handwarmer pockets (with venting mesh), an external zippered left-chest pocket, and Patagonia's sleek, low-bulk, easy push-up stretch-knit Variable Conditions Cuffs. The adjustable hem snugs via cords routed through the hand pockets, and the DWR (durable water repellent) finish sheds excess moisture.